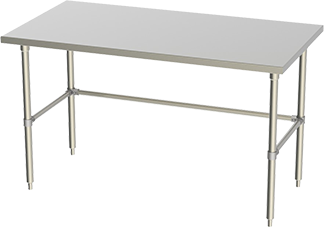 If you need an open base work table, then begin building your table by selecting the 'Open Base Table' option. 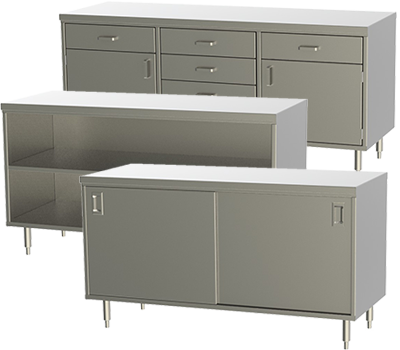 If you prefer an enclosed style work table, then begin building your table by selecting the 'Cabinet Base Table' option. 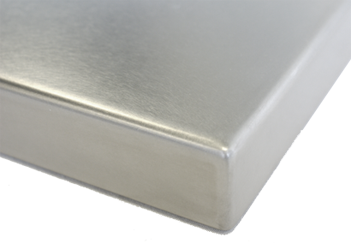 This stainless is a slightly lower grade than the 304 #4 stainless. 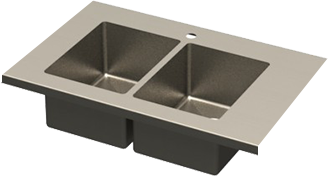 The 430 #4 stainless will hold a magnet. 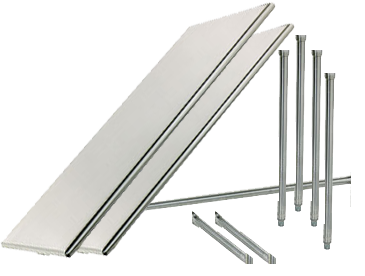 304 #4 Stainless: 304 #4 stainless steel is a commercial grade metal. 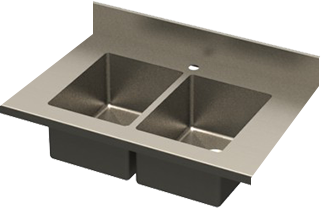 This stainless is versatile, anti-rusting and heat resistant for general use. 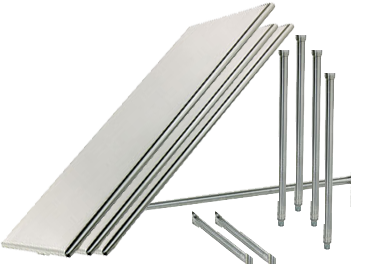 316L #4 Stainless: Also called marine grade, this stainless has an increased resistance to corrosion. 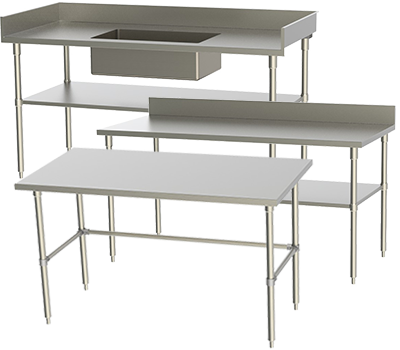 Choose from our list of 'standard' table sizes, with depth options of 24", 30" and 36" with varying lengths. 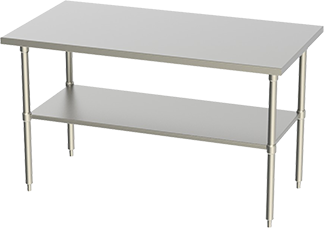 Create a complete custom table based on your specific dimensional needs. 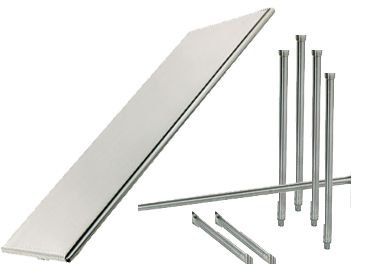 Select either 304 Stainless or Galvanized legs. 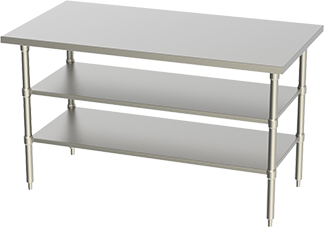 Standard table height is 35 1/2". Enter a custom height for your table. 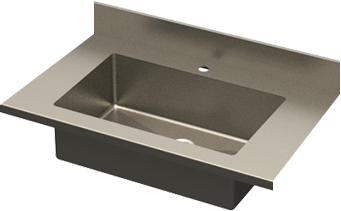 Our sinks are seamlessly welded into the table top creating a uniform, integrated unit. 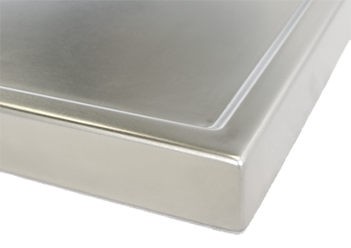 The tight 5/8" radius coved corners are superior to "zero radius" corners in that they provide a cleanable surface while still offering the dersired "modern" look. By clicking the "Save Your Table" button your table design will be saved so you can retrieve it at any time to order or edit and update. Create a Job Name to save one or multiple table designs. 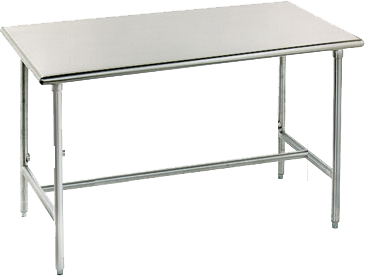 Create a Name for this table. If you also entered a Job Name, this table will be associated with the Job Name you entered. -- Select -- 1" 2" 3" 4" 5" 6" 7" 8" 9" 10"
0 1/16 1/8 3/16 1/4 5/16 3/8 7/16 1/2 9/16 5/8 11/16 3/4 13/16 7/8 15/16 "
-- Select -- 15" x 20" 20" x 20"
No Overshelves Available For Table Depths Less than 10"
You will be emailed a detailed, measured PDF drawing within (1) business day of payment. Drawing approval will be required prior to fabrication. We will not begin frabrication without your approval.